Sergio Vargas holds the position of Head of Online Travel in Latin America and he is based in Barcelona. He leads a team responsible for the commercial activity and strategy for Online Travel Agencies and Metasearch in Latin America. In addition, he is the Global Account Director for a large OTA in Europe. Sergio’s industry experience spans for over two decades. He has worked with Amadeus since 1996 demonstrating his business leadership abilities where he held management roles in both commercial and strategic areas. However, his passion has always been on developing and growing business relationships with new and existing customers. 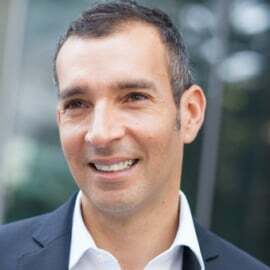 Prior to his current role, Sergio was fully accountable for the Amadeus commercial relationship with online players in Asia Pacific. He was based in the regional office in Bangkok, Thailand. Sergio has worked for Amadeus in Asia, Europe, North America and Latin America. Sergio has dual Spanish and Costa Rican citizenship. He holds a BSc in Business Administration and an MBA in Sales and Marketing. He speaks fluent Spanish, English and Italian.